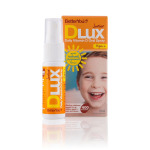 Includes Magnesium Oil, Multivitamin, Vitamin D, B12, K2, Turmeric and Iron Oral Sprays. Our prices are cheaper than Amazon.co.uk! All Better You products are manufactured in the UK to the highest standards of purity. Better You believes in using botanical and mineral combinations that work effectively together. The formulations are designed to be safe introductions to better health maintenance and most products are suitable for those on a vegetarian, vegan, diabetic and coeliac diet. All products are gluten free, wheat free and lactose free, with no added sugar, colours, yeast or preservatives. No products or ingredients used have been tested on animals. www.nutrisun.co.uk is one of the largest stockist of Better You products in the UK.